Published on Nov 4, 2013. Veteran journalist Simon Winchester outlines the historical and geographical importance of East Liverpool, Ohio—a seemingly insignificant former industrial town in the rural Midwest. Mr. Winchester was incorrect about part of his comment above. The following pictures were taken by a member of the staff of the East Liverpool Historical Society, on the morning of Tuesday, January 28, 2014. As the pictures show, there is snow on the ground, a lot of tire tracks, a fair number of footprints. There has been a number of people who visited this area in the past few days. What there isn't is any litter and or graffiti. EXCERPT: The Beginning Point of the U.S. Public Land Survey is a monument at the border between the U.S. states of Ohio and Pennsylvania, on the north side of the Ohio River. It is near the three-way intersection of Ohio, Pennsylvania, and the northern tip of West Virginia, in both the Pittsburgh metropolitan area and the East Liverpool micropolitan area. It is significant as being the point from which the Public Land Survey System was performed, starting in 1785, which would open what was then the Northwest Territory for settlement. The survey was "the first mathematically designed system and nationally conducted cadastral survey in any modern country" and is "an object of study by public officials of foreign countries as a basis for land reform." It was conducted in the late 18th century by Geographer of the U.S. Thomas Hutchins surveying the Seven Ranges. When looking at a local historical event, it is sometimes difficult to put into perspective just what that event meant to the history of the nation. Just such an event is the "Point of Beginning." 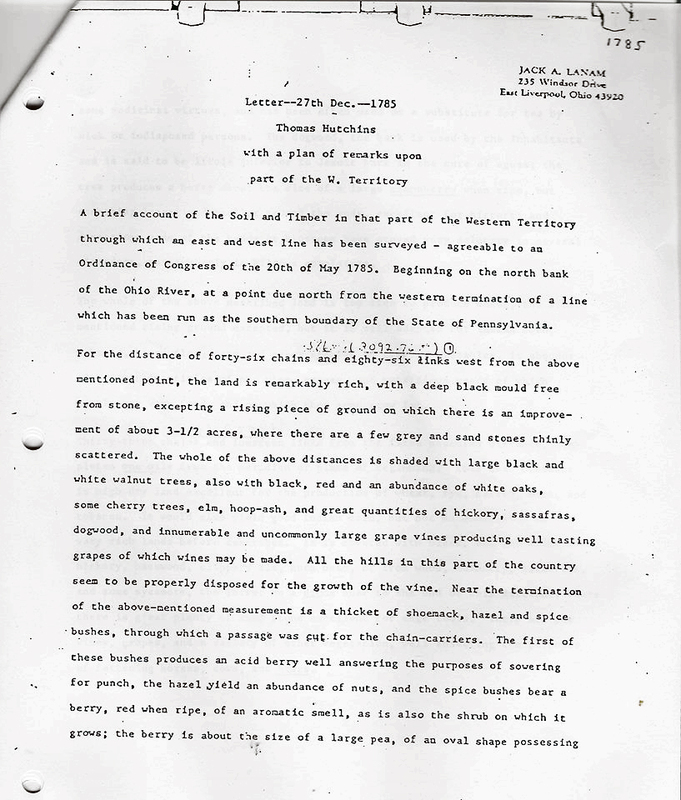 The original surveying that began here at the meeting of the Pennsylvania state line with the north shore of the Ohio river was the test of a system devised to survey the new lands falling to the new United States government. The results of that test indicated that the system worked and it became known as the General Land Survey and the system was employed all the way to the Pacific Ocean. More than just a surveying method, the General Land Survey eventually affected the lives of every American in many small and some large ways. It can be said that point on the map at the edge of what is now East Liverpool, Ohio was truly the "Point of Beginning" of modern America. 156. [Ohio]: Plat of the Seven Ranges of Townships Being Part of the Territory of the United States N.w. of the River Ohio Which by a Late Act of Congress Are Directed to Be Sold. Philadelphia: Matthew [sic] Carey, . Map, 24¼ x 13¾ inches . . . .
. . . A fundamentally important map in the westward development of the United States and the mapping of Ohio and the Old Northwest. This map was created as a result of the Land Ordinance of 1785, which set out an orderly method for surveying and selling western lands. The Confederation Congress hoped that proceeds from these sales would help settle the debts growing out of the American Revolution. The map was created from the surveys of Thomas Hutchins, who had been Geographer to the United States until his death in 1789. Hutchins had already surveyed the area several times, and he and his assistants mapped out four of the original seven township ranges before he died. The final three ranges were subsequently mapped, and the "Seven Ranges" became the first portion of Ohio surveyed under the Land Ordinance of 1785. The area surveyed under the Ordinance and depicted on this map is in the form of a triangle, with a ninety-one-mile western boundary, a forty-two-mile northern boundary, and with the Ohio River forming the eastern boundary. Each township range would consist of thirty-six square miles of territory divided into thirty-six separately numbered square mile sections, each made up of 640 acres. Certain sections were reserved for the federal government, and others were earmarked for sale. Section sixteen in each township was set aside for a public school. The map is drawn on a scale of four miles to the inch. The true importance of this map is not its immediate cartography, but what it set in motion. From these townships westward, all of the United States (excepting those areas along the Mississippi or in the Southwest, where French and Spanish settlement had created different land patterns) were laid out in the township grids from Ohio to the Pacific Ocean. More than any other act of man, this has transformed the landscape of America, as anyone looking out an airplane window can readily see. In his book, The United States of America Part I, Edwin Erle Sparks described many of the events that led to the passing of the Ordinance of 1787. The full text of the book can be found at http://www.fullbooks.com/The-United-States-of-America-Part-I1.html. In the following excerpt, Sparks not only discusses the importance of this new survey system, but goes on to describe many of the events that led to the settling of this newly surveyed land. After much study, Congress drew up the Ordinance of 1785 for the survey and sale of such land as might be given to its care. The details of this important arrangement in the story of the American people illustrate the advantages arising from instituting new governments at a stroke. The rectangular system of land surveys, like the decimal system of money, was devised and not inherited. Each has proved a blessing in its simplicity. The divisions of the land upon an even-number basis, the progressive numbering of the divisions, the elasticity of the system, and the subdivisions arranged to accommodate small purchasers, have conduced by their simplicity and adaptability to speedy disposition and settlement of the national domain and have minimized later litigation and discord. Since the history of the American people has been influenced so extensively and persistently by the disposal and peopling of the public lands, the simple survey system may be counted among the valuable parts of the national machinery. Surveys were to be made by the "geographer" of the United States, assisted by a surveyor from each of the States. One-seventh of all lands surveyed was to be reserved for the land bounties promised to those who had served in the Continental army. An old handbill, frequently reproduced, shows that among the inducements to enlistment held out during the darkest period of the war were "Ease, affluence, and a good farm." The certificates issued to the soldiers at the close of the war in lieu of money were made receivable in payment for public land. A share in all gold, silver, lead, and copper mines was retained by the National Government. Lot number sixteen in every township was reserved for the maintenance of public schools. A provision for setting aside the section adjoining it for the support of religion was struck out, nor could a motion prevail to preserve it for "charitable uses." The votes on this question seemed to be governed purely by individual opinion. The delegates from Virginia, whose Legislature had just dealt the Established Church in that State its death-blow, voted to retain the reservation of land for religious purposes, much like the old church glebe lands. But the separation of Church and State had become too complete to enter upon a scheme so suggestive of establishment. For three years the Ordinance of 1784 awaited the migration of settlers to the territory who would be protected by it, and, at the same time, put it into effect. Thomas Hutchins, the national "geographer," and his assistants from the several States, laid off seven ranges of townships, in the eastern part of the present State of Ohio, according to the land Ordinance of 1785, before rumours of hostile Indians drove them back. The Secretary of War was instructed to draw by lot enough of the surveyed land to satisfy such bounty land certificates as might be presented and to advertise the remainder for sale. United States troops were employed to drive out the "squatters" on the public lands, to burn their cabins, and destroy their crops. But not an acre was sold in those three years, not a certificate of national indebtedness redeemed, and not a shilling received from the land sales for the needy treasury. The Jefferson ordinance had been intended for such western lands as might from time to time be given to the National Government. But no land south of the Ohio was surrendered. Congress, therefore, determined to cast aside the old ordinance, and to form the portion yielded into a specific territory, with a new ordinance which would allow more leeway in forming the States and give Congress more control over the domain from its incipience. Accordingly, Johnson, of Maryland, offered a new ordinance in the spring of 1786, which passed to a second reading. With the exception of the reforms noted above, it closely resembled the old ordinance. But in July following, after an interregnum of no quorum, the Congress passed, by an almost unanimous vote and after a consideration of only a few days, an entirely new law governing the territory north-west of the Ohio. It was the famous Ordinance of 1787. Its sudden transformation, inexplicable to early investigators and solved only by later research, was the result of a business transaction connected with the bounty certificates given to the Revolutionary soldiers. During the progress of the war, it had been necessary to secure enlistment by offering bounty lands. The desire to realize on these promises was shared by officers and privates alike. Doubtless around many a camp-fire, as the war drew to a close, the value of these land certificates was discussed, and plans made for "associating" to form colonies in the "back lands" to which the soldiers were winning both right and title. The danger-line in the future would be along the frontier, where the newly won empire must be guarded from invasion both from British Canada and the Spanish Floridas, and where the advancing line of pioneers must be protected from hostile Indians. Bands of these "associators" were organised to obtain their allotments in the new country and to settle upon them. They would "plant a brave, a hardy, and respectable race of people as our advanced post," wrote Washington in presenting the project to Congress. "A settlement formed by such men would give security to our frontiers; the very name of it would awe the Indians." One body of men, styling themselves "The Ohio Company of Associators," composed of ex-Revolutionary officers and privates residing in and about Boston, sent a botanist- parson, the Reverend Manasseh Cutler, to the Congress in the summer of 1787, to urge a proposition they had advanced for the purchase of a large tract on the Ohio River. These "adventurers," as they styled themselves, were desirous of driving a good bargain in a low price for the land and also of gaining certain guarantees from Congress which would give them as much personal liberty and protection in the new home and under the National Government as they enjoyed in their present residences under their State Governments. Cutler, provided with forty-two letters of introduction to members of Congress and prominent citizens of New York city, reached the seat of government in due time. "At 11 o'clock," he wrote in his private journal, "I was introduced to a number of members on the floor of Congress Chamber, in the City Hall, by Colonel Carrington, member from Virginia. Delivered my petition for purchasing lands for the Ohio Company, and proposed terms and conditions of purchase." Fortunately there was a quorum in Congress, the first in nearly two months. 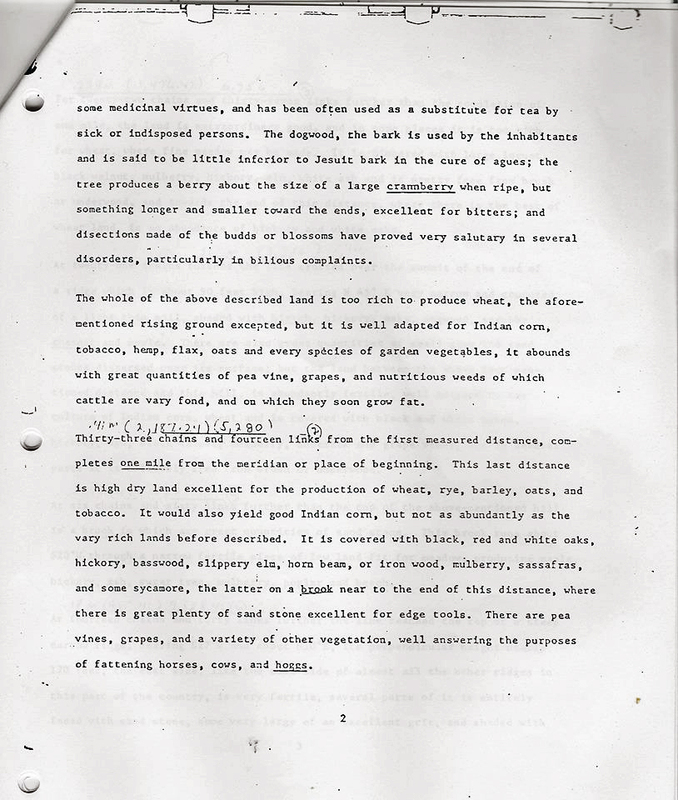 A few days later, Cutler was sent a copy of the Johnson ordinance then pending. To this he proposed "several amendments." Three days afterward, the celebrated Ordinance of 1787, for the government of that portion of the territory north-west of the Ohio, was completed and adopted to Cutler's satisfaction. "It is in a degree remodelled," he wrote in his journal. "The amendments I proposed have all been made except one, and that is better qualified." Nevertheless, it took a week more of haggling and lobbying before acceptable terms of sale could be agreed upon. Another company composed of "principal characters" in the city had to be taken into the deal in a "profound secret." Arthur St. Clair, the president of the Congress, had to be accepted by the Associators as the governor of the territory, in order to gain his support. Cutler had to finesse by threatening to buy from some of the States which had land for sale within their borders. It is unfortunate for those who believe that our fathers were actuated entirely by disinterested motives and utterly devoid of political guile that the parson lobbyist kept such a candid diary. Day by day the business proceeded, Cutler even making a side visit to Philadelphia while his leaven was working. At last even "that stubborn mule of a Kearney," as the disgusted agent called him, was "left alone," a sufficient number of votes was secured, and Cutler was receiving congratulations on the prospects of the Ohio Company. 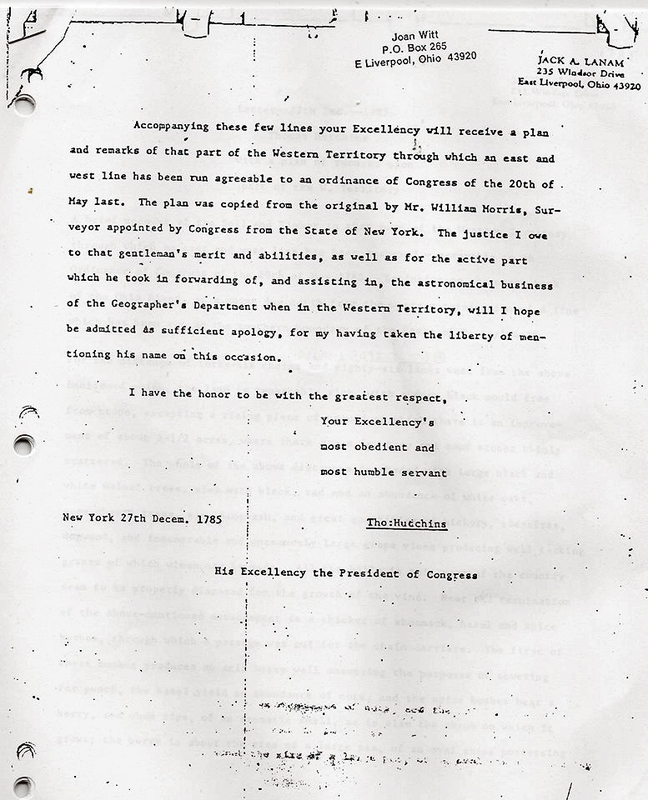 "By this Ordinance," he wrote, "we obtained the grant of near 5,000,000 of acres of land, amounting to three millions and a half of dollars; one million and a half of acres for the Ohio Company and the remainder for a private speculation in which many of the principal characters in America are concerned." The importance of this transaction lies not only in the fact that it was the first sale of public lands in the United States, but that the government established for the territory formed many precedents for later Territories and States. Some of its provisions deserve a close examination. The changes made in the Johnson ordinance to satisfy the Ohio Company are found chiefly in the appended six articles of the Ordinance of 1787. These formed a guarantee that citizens in the territory deprived of the protection of their States would have the same personal rights which they enjoyed before leaving the States. The United States, later destined to become a protector, was feared lest it might be an oppressor. Such individual rights as habeas corpus, trial by jury, freedom of conscience, possession of property, and similar birthrights of Englishmen, had been secured in the States by incorporating them in the various State Constitutions under the general name of "declaration of rights" or "bill of rights." Without such specific title, they were placed in the Ordinance of 1787. The sixth article, no doubt also demanded by Cutler, incorporated the very wording of Jefferson's rejected anti-slavery clause of three years before, except making it immediate instead of after 1800. The New England Associators were unwilling to offer their free labour in competition with slave labour in their new home. The idea was general. "The total exclusion of slavery from the State" had been a prominent provision in a transitory association in Connecticut four years before. WESTWARD EXPANSION: A professional development module for high-school history teachers. Developed under a grant from the National Endowment for the Humanities. 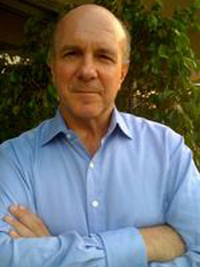 Principal Investigator: John Opie. March 2006, pp 9-10. The government carried out extensive land surveys, and under the Land Ordinance of 1785, it extended the grid survey system from the Appalachian Mountains west to the Pacific. The grid surveys imposed checkerboard linearity on western landscapes in a rationalized effort to efficiently transfer lands to the private sector. The federal government's General Land Office served as de facto real estate agent to bring this about. From the inception of the national government in 1776 through the Enlarged Homestead Act of 1909, Congress enacted literally hundreds of land laws to provide for the orderly transfer of lands to private holders. About seventy percent of the land in the continental United States – all but the thirteen original states, Maine, Vermont, West Virginia, Kentucky, Tennessee, and Texas – is delineated according to the land-survey system. The system was developed originally under the Land Ordinances of 1784 and 1785, the Northwest Ordinance of 1787, and the Land Act of 1796, and modified through later acts and policies. Under the survey, all lands in the nation's public domain were to be measured and divided along survey lines whose coordinates would, in Johnson's words, "always run north-south and east-west with complete disregard of the terrain. This unconditional rule [made] it possible for the survey to be continuous not only in concept but in practice over thousands of square miles – the most extensive uninterrupted cadastral system in the world." Eventually, the survey's grid would cover more than three million square miles of land. Developed under the influence of eighteenth-century European rationalism and Enlightenment-era science, drawing upon (or at least resembling) diverse precursors, applied and polished according to Thomas Jefferson's political vision, the survey system was well suited to its central task: the efficient distribution of lands whose indigenous peoples were being dispossessed of their tenure, among newly arrived inhabitants for whom individual land possession was a bulwark against the inequities of European land tenure and a stabilizing keel for the embarking democracy. "It is not too soon," Jefferson wrote from France in 1785, "to provide by every possible means that as few as possible shall be without a little portion of land. The small landholders are the most precious part of a state." 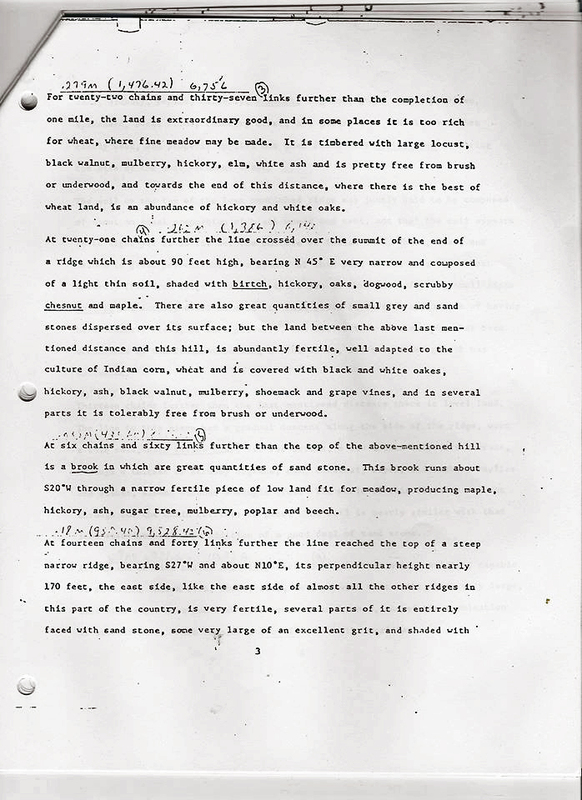 Among the "possible means" was the land survey system. So began the process that would transform the face of the continent. "Across the public lands," Wallace Stegner writes, "the General Land Office imposed a grid of surveys upon which the small freeholds of the ideal agrarian democracy could be laid out like checkers on a board." With strict Euclidean geometry and Cartesian coordinates in mind, and compasses, stakes, and Gunter's chains in hand, the government surveyors began laying their lines at the "Point of Beginning" in the uncharted wild lands of eastern Ohio. The work that began along the banks of the Ohio River on September 30, 1785 would continue to the shores of the Pacific. "The result," John Hildebrand observes in his book Mapping the Land, "was the landscape as a work of political imagination."
. . . The grid triumphed. Where the grid was laid, we now live the world through it. It orders the streets of our cities, towns, and suburbs. It turns in on itself in our subdivisions and cul-de-sacs. It dictates how we walk to school and drive to work. It guides buses, trucks, limousines, ambulances, and hearses. It shows our neighbors where to stop and tells our politicians where to campaign. It directs our backhoes, tractors, manure spreaders, plows, and combines. Our cows lie down in its green pastures. It drains water from some lands, spreads it out over others. It fixes the borders of lands we deem special enough to include in parks. It bounds our public forests and wildlife refuges. It delimits Indian reservations. Ironically, even wilderness came to be defined by the grid: when in 1924 Aldo Leopold and his colleagues in the Forest Service first traced the boundaries of the Gila Wilderness Area, they did so along survey lines.
. . . The triumph of the grid, and the tenacity of the surveyors, remains mind-boggling. The consequences, for ecosystems and human communities alike, are pervasive. In organizing the way Americans have defined, distributed, possessed, exchanged, and used land, the grid has thoroughly modified the gene flows, populations, species, and communities of life in the landscape. No one has attempted to review the myriad ways in which the land survey has affected the continent's flora and fauna. Even listing the mechanisms of influence would be an exhausting exercise. Just the broader categories would include: encouragement of rapid agricultural development and urbanization; facilitation of habitat conversion and fragmentation; construction of roads, highways, fences, and other artificial barriers and corridors; the segregation and concentration of particular land uses; various direct and indirect effects on the quality, quantity, and distribution of water; and the division of land into multiple, exclusive jurisdictions. The imposition of the grid can be easily seen in photos of night views of the United States made from space. At the website, "See the Earth at Night from Space", (http://www.nightearth.com/), you can zoom in on the U.S. on a composite photo created by NASA and see the grid. The Freeman Institute sells museum quality posters of this photo. In their advertising copy at http://www.freemaninstitute.com/nightearth.htm, they made some observations that point out the grid effect seen in the U.S.
9. In the Midwest US (everything north of Texas) the city lights form a nice "grid" of dots all lined up. This grid pattern was established as a result of the General Land Survey, initiated following the Louisiana Purchase to map the newly acquired lands west of the Mississippi. The GLS is based on a large scale grid of Principal Meridians (north - south) and Base Lines (east - west). These grids were then subdivided into 36 square mile Townships (6 miles square, containing 36 sections of one square mile or 640 acres each). Each Township had a designated school section. Roads tended to be located on the boundaries between sections, thus forming a grid one mile by one mile. Major roads, and subsequently railroads, tended to be located on Township lines, forming a larger grid. This tended to impose a distance of about 6 miles between towns, which has endured to this day. Many Townships saw the development of towns (and subsequently, cities), often at intersections of major roads along township boundaries.